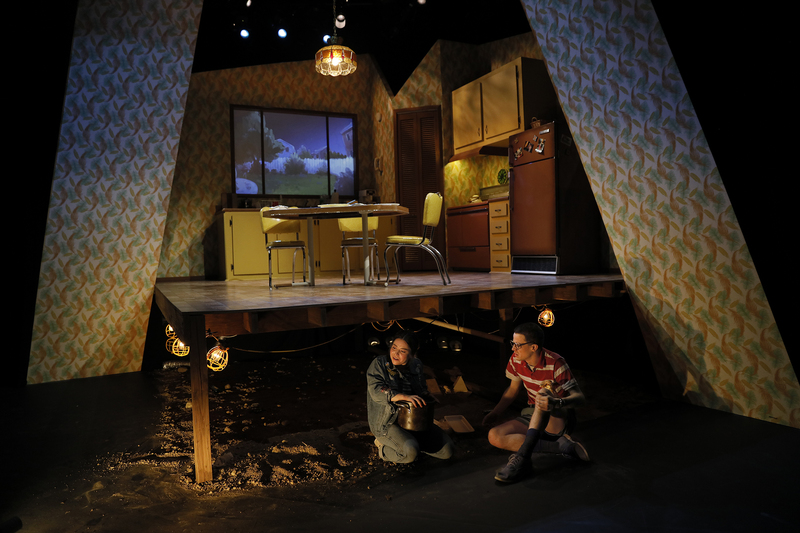 Feathers and Teeth, the spooky horror comedy by Charise Castro Smith, is now playing through April 15. WET’s Marketing Intern Raina Sadhan chatted with director Bobbin Ramsey to get the deets on her approach to the play. To learn more about the show and to purchase tickets, click here. RAINDA SADHAN: Tell us a little bit about your creative approach to Feathers and Teeth. BOBBIN RAMSEY: I approached this play by immediately identifying the human story that the playwright created. With a play that has so much going on, so many magical and supernatural elements, I wanted to make sure that the production was grounded in the characters and their relationship. Once I understood these characters and their stories, I could begin to build the fantastical world of the play outwards and have a better understanding of how the supernatural elements of the story illuminated the lives and experience of the characters who interact with them. RS: Why was this a good play for WET to produce? BR: I have always felt that the Ensemble thrives when we go big. The Ensemble members and the artists we love to work with come with a passion, skill, big ideas, and fearlessness. We have designers who make bold and vibrant design choices, we have actors who are willing to run the gamut of style and tone. This play allows for all of our artists to show the adventurousness they all harbor when it comes to creating exciting and meaningful theatre. And best of all, our audiences are always up to taking a ride with us. RS: Why should people come see Feathers and Teeth? BR: Because it’s funny and scary and heartbreaking. This play does such an incredible job at looking at the experience of grief, unnurtured and ignored grief, and externalizes it into something that is both ridiculous and terrifying. Like all good horror, it allows us to experience something that is so painful and deep inside of us on the outside – something that we can laugh at and react to and understand. Which I think can help us heal. RS: This is the first play you’ve directed that’s written by Charise Castro Smith. What do you love about her writing? BR: Charise Castro Smith is so smart. I love how masterfully she can combine so many different storytelling elements into something that is both outsized and thrilling, and honest and intimate. Her characters are simultaneously real and absurd, and the circumstances she sets up are unbelievable and all-too-real. Her ability to play with dichotomy is so exciting to me as a director. RS: Of the four shows you’ve directed with WET, what is different about this one?